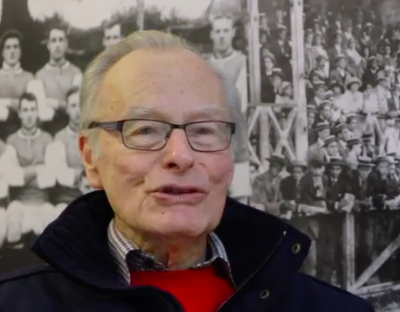 Bill Jarman, a long-time City fan, shares his memories of the club from before WWII. His earliest recollections were of coming to watch City play as a child in the 1930s, when the ground still had iron railings, and later commuting to St James' Park when he began attending school in Crediton. He also speaks about an exceptional right winger, George Wardle, who was the only non-international player to get into the British Army football team during the war years.